RICHMOND - Two years after the easing of travel restrictions to Cuba for Americans, an annual survey by leading travel insurance provider Allianz Global Assistance reveals that fewer people are interested in taking a trip to the island nation than before – and that there is lingering confusion surrounding the current travel policy. This year’s survey shows that 13 percent of Americans are interested in traveling to Cuba – a dramatic 27 percent drop from 2017, when 40 percent said they would be interested in visiting the country. The 2018 poll also revealed that 82 percent of respondents report being unlikely to plan a trip to Cuba (a six percent increase from 2017). The survey asked Americans about the recent news of major US airlines expanding service between the United States and Cuba and cruise lines adding more Cuban ports to their itineraries. Only 18 percent of Americans are more interested in visiting the country as a result of these new developments, while eight percent report feeling less interested in visiting Cuba. Almost three-fourths (73 percent) indicated that they were unaffected by this news. 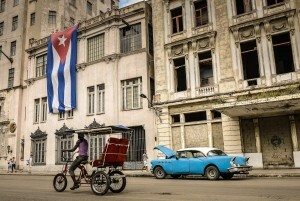 According to the survey results, many Americans feel uncertain about the legality and logistics of traveling to Cuba. In the wake of revised restrictions for US travelers, as well as the elimination of individual “people-to-people” cultural exchange trips, the survey found that many Americans are confused about whether, and how, they can legally travel to the Caribbean nation. A staggering 55 percent of American survey respondents do not understand the current restrictions on travel to Cuba. US travel to Cuba for the purpose of pure tourism was banned by the US government in 1963. It is still not permitted under US or Cuban law – American travelers’ reasons for visiting Cuba must generally fall within one of these 12 categories of authorized travel. The 2018 survey also measured American sentiment regarding Cuba, revealing that 38 percent of American respondents believe that Cuba has changed for the better since travel restrictions to the country were eased. This represents a four percent increase in Americans expressing this belief, up from 34 percent in the 2017 survey.